Greenville Dental Bonding - Dr. William W. Brown, Jr. Dental bonding is basically using tooth colored filling material on the front teeth. Some people even refer to the tooth colored fillings on the back teeth as bonding but when I think of bonding I think of doing something cosmetically up front. Filling in spaces; a child falls of a bike and breaks off the corner of his tooth, doing teeth bonding to restore that. You can use it to lighten teeth at times. It wouldn’t be my first choice to do on all the teeth to lighten them, bleaching would be my first choice, but bonding is a great way to fill in spaces. Any of the fillings you needed on your front teeth, that’s essentially bonding. The goal is to blend it in so you can’t tell what’s tooth and what’s filling. Ask your Greenville, SC dentist about dental bonding if you have cavities or chipped teeth. Bonding is a quick and inexpensive way to fix minor tooth imperfections. After cleaning the tooth, bonding resin is applied to seal the cavity or repair the broken tooth. Bonding material can also close small gaps between teeth and cover stains and spots. 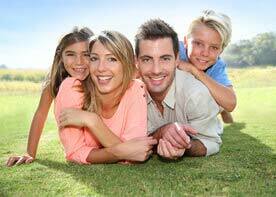 Bonding is a routine procedure that usually requires no anesthetic unless your dentist is filling a cavity. The whole thing takes about 30 minutes to an hour per tooth and can be completed in one appointment. After checking your mouth and determining that bonding is the right solution, Dr. Brown will select a shade of resin that closely matches your natural teeth. Next, Dr. Brown will clean the tooth and etch the surface. A special liquid is applied to make the resin stick to the tooth. Dr. Brown will apply the resin and shape it. The tooth is exposed to UV light to harden the resin. Finally, the bonding material is trimmed and polished. Bonding is easy and affordable, but it is not recommended for all situations. Bonding resin is not as strong as porcelain veneers and may chip and break off if exposed to strong forces. Bonding is ideal for hiding small flaws, treating minor decay, protecting the tooth root exposed by gum recession, and fixing chipped teeth. If you have severe stains and discoloration, large fractures and big gaps between teeth, porcelain veneers are better. Porcelain veneers are stronger, more durable and stain-resistant than resin. For larger cavities, fillings, inlays/onlays and crowns are recommended. When you come in for a consultation, your dentist in Greenville, SC will examine your mouth and help you decide on the best solution. Find out if dental bonding is right for you. call 864-408-8873 or use our online form to reqeust an appointment.